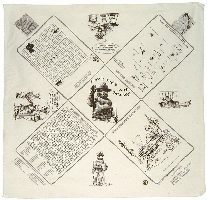 Along with many other uses you can play "Forest Wordsearch" and 3 other games on this unique bandanna. 100% cotton. QUANTITY DISCOUNT: 10 or more $5.95 each.